The Elite Low Energy Festoon Lighting Kit in 110 v is a 22 metre long festoon lighting ready to use kit ideal for use in many applications. It uses 13 watt Compact Fluorescent Lamps in place of standard 60 watt Incandescent Bulbs which draw up to 80% less energy, and they last longer. So although these lamps are a few pennies more expensive to purchase to start with, they actually offer a much greater saving in the long term with cheaper electricity bills and the frequency in which they need to be replaced. 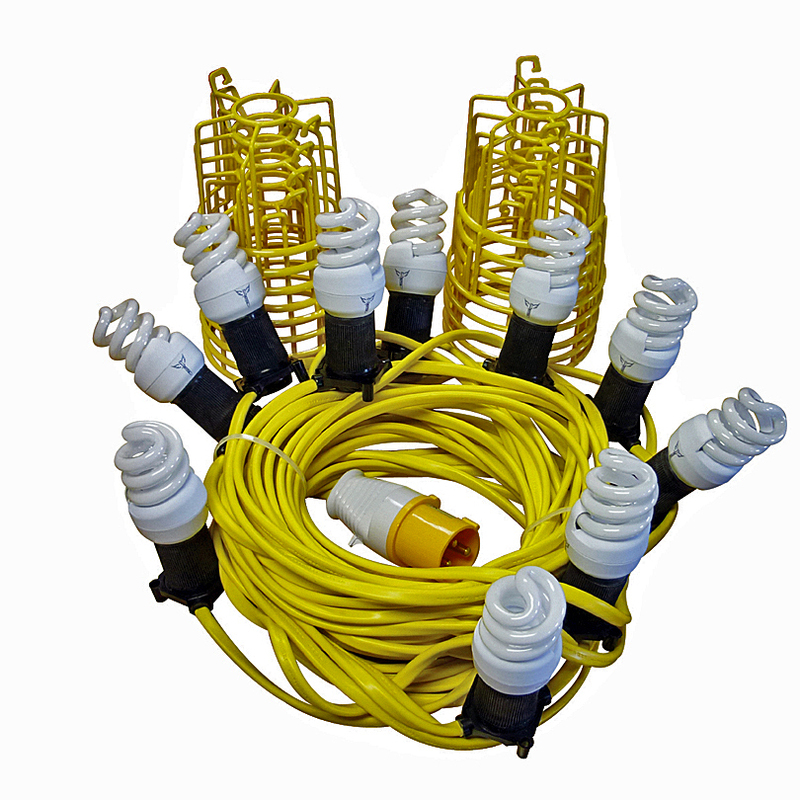 The kit is 4.5 times more efficient compare to the normal Festoon kit. Other advantages of the Compact Fluorescent 13 watt Lamp are the quick start technology, and the spiral effect designed to provide even light distribution with shadow reduction. This kit comes with ES (Edison Screw) light fittings. Elite is a manufacturer of high quality products, and products that are specifically designed to withstand the rigour of the construction industry which is why Elite products are supplied into the hire industry, due to their reputation of product longevity. Elite products are built and tested to the highest standards, with high quality components, innovative features, and time saving solutions that will not let you down.